In honor of World Environment Day, let's set aside a day when, no matter what kind of car we drive, we come together for the higher purpose of leaving it in the garage. One day where we unfasten our seat belts and take the pedal off the metal. Shift our mindset, instead of gears. Tear up the sidewalk, instead of the asphalt. Let's put some miles on our inner odometers for a change and together prove just how far not driving a single mile can really take us. On Friday, June 5th, join other motorists in a promise to leave their cars in the garage on World Environment Day. The latest model to roll off the Scalextric production line is the BMW Mini Cooper, as driven by Gareth Nixon in the 2006 Mini Challenge. Nixon enjoyed a triumphant season, winning 13 of the 16 starts, including the last 11 races on the trot, to win both the Club Class and Overall competitions. Digital Plug-ready, the Scalextric model has working front and rear lights and Magnatraction with adjustable down-force positions. It is priced around £35. 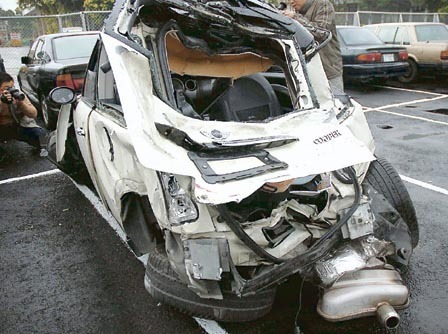 "At 23:15 on January 28, 2007, Taiwanese actress Beatrice Hsu Wei Lun (许玮伦)'s Mini Cooper was driven by her assistant and she was sitting in the front seat of the car. The car smashed into a pretective fence on the Taichung stretch of Taiwan’s National Highway and spun out to the other side of the highway and the car stopped horizontally between outer lane and the road shoulder. 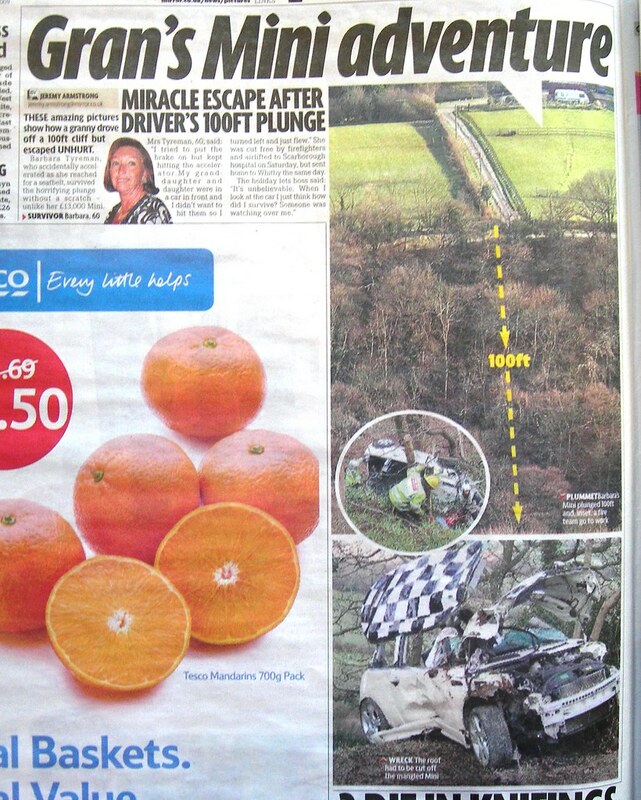 According to witness, her Mini Cooper was travelling at around 120-130km/h. 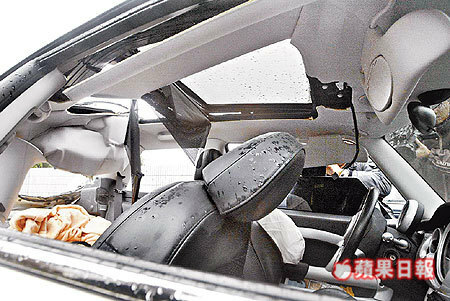 Wei Lun unbuckled her seat belt as she thought it was safe after the car stopped. The Mini Cooper’s rear-end was hit by a freight vehicle immediately. The collision cause the Mini Cooper tailstock serious hollow aberration. 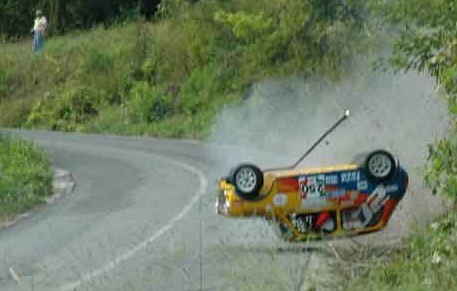 The front airbag failed to deploy during the collission occured as airbags are not designed to deploy in rear impact collission. Wei Lun’s head was seriously fractured and she fell into a deep coma. After 43 hours of emergency treatment, her heartbeat stopped at 17:09 and she passed away on January 28, 2007 local time due to hydrocephalus." It's been awhile since I've shamelessly promoted another MINI related website- not that there aren't plenty to go around, but simply because once you're deep enough inside the MINI bubble, you forget that not everyone knows everything that's going on. Sorry for that. *(And yes, for those sticklers, you're right- Motoring Alliance is not a blog, but an online forum. Whatever). Do you have an independent, MINI-related blog or website you'd like to link up with BushingferMINI? Click Here! I scour the Internets for the obscure MINI-related content that has not already been posted on 4,000 websites. But, sometimes I have to be #4,001, when its just that cool! I'm always up for suggestions and pointers to cool content, stories, photos, etc. This is a Flickr badge showing public photos from iriemandotcom tagged with MINI. Make your own badge here. "Bushfinger MINI" is in no way, shape or form affliated with MINIUSA, BMWUSA or any other member of the BMW Global Group. In providing links to MINI-related websites, Bushfinger MINI provides no endorsements or guarantees to writers or vendors quality of work, accuracy, or services provided.